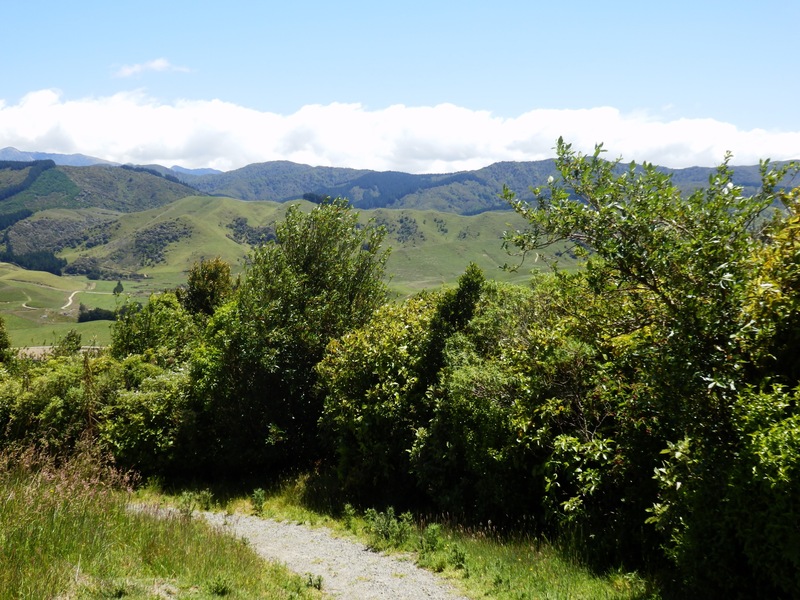 A short drive north of Masterton, is the Pukaha Mount Bruce National Wildlife Centre. 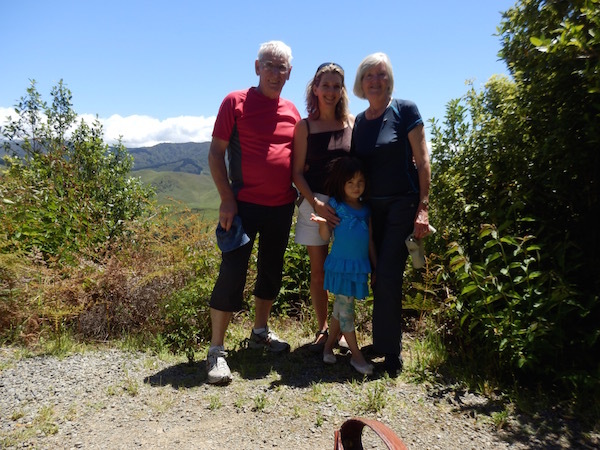 I visited with my folks, from the UK, and my youngest daughter, age five, over the Christmas/New Year hols. … we headed into the park, stopping briefly to see the Tuatara being fed (lucky timing), and toward the first aviary. We couldn’t see much in the aviary and decided to carry on and do the two hour loop walk, which we were so glad we did. 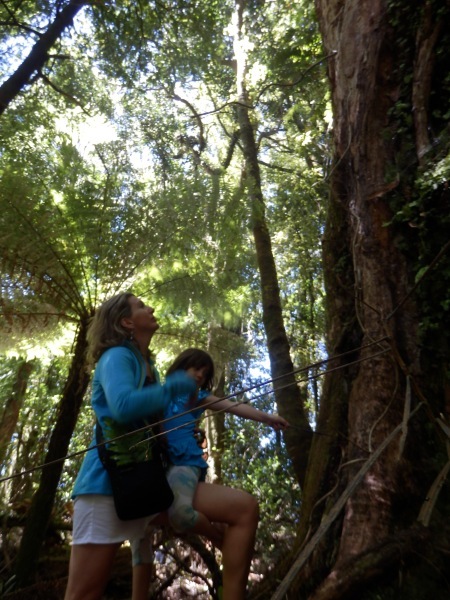 The walk started with a gradual, but long climb, up through native woodland. Young Alice marched on, holding her ‘Discover Pukaha Nature Search’, ticking off the special things she could find along her way. 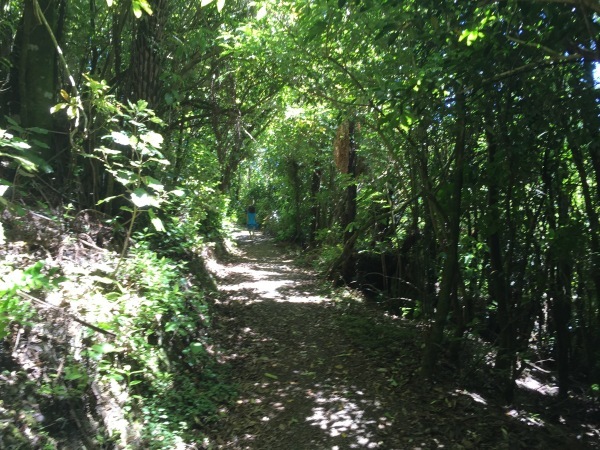 We admired the diverse and rich variety of vegetation, with every footstep accompanied by bird song. 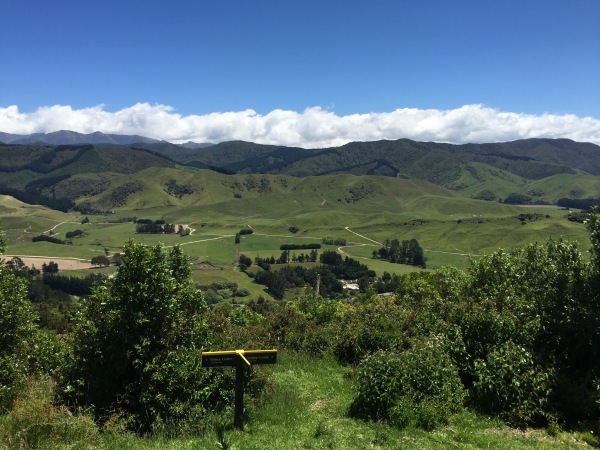 The climb to the view point was well worth it (though we reached two points, prior to the ‘official’ lookout point that we thought were the ‘lookout’)! Alice enjoying the scenery after her amazing climb. When we reached the actual ‘lookout’ we were without doubt that we’d finally reached it, as the panoramic scenery was stunning (and there was a sign, clearly labelling the place as ‘Lookout’ with plenty of seating to enjoy the view!). We balanced the camera on a bench for a self portrait of the walkers, acknowledging young Alice’s strong steps all the way up. The walkers at the top of the loop walk at Mount Bruce. 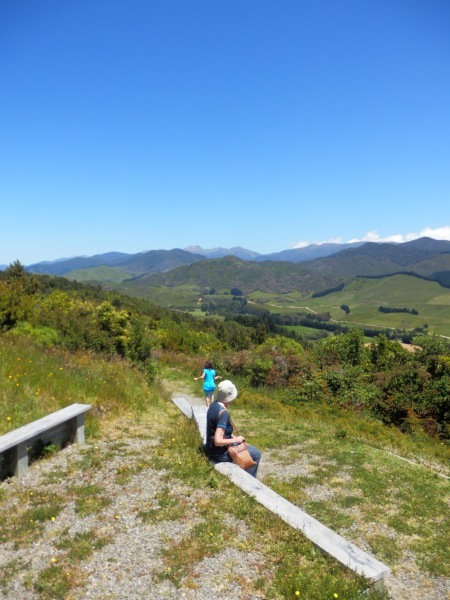 A moment of reflection and meditation at the top! She then ran most of the way down, stopping to examine butterflies, birds and various flowers along the way. Alice taking the lead on the downward route back to the visitor centre of Mount Bruce. 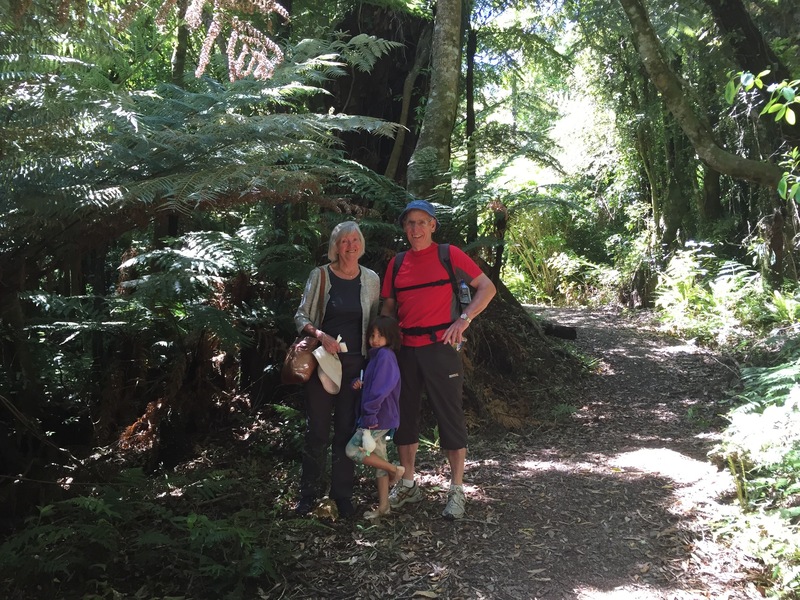 The downward route was much more exposed to the summer sunshine and we were glad we’d walked up through the sheltered canopy of New Zealand bushland. 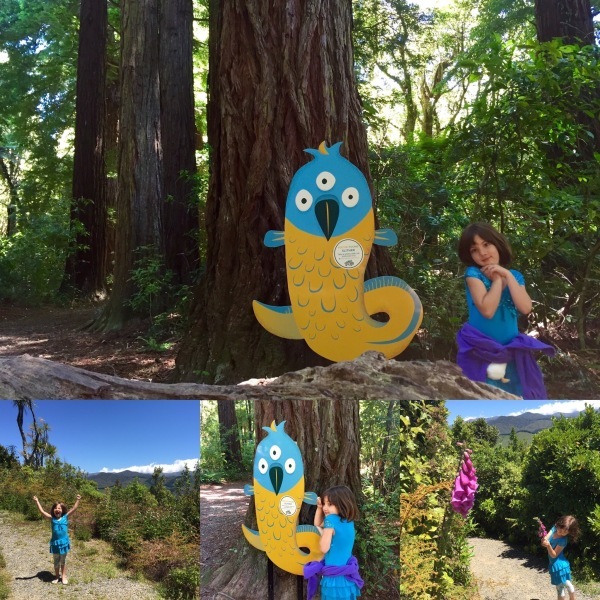 At the bottom, back near the main aviaries and visitor centre, we walked through a beautiful grove of Californian Red Woods and came across ‘Slither‘ one of the ‘Wellington Wild Things‘ characters, to be found at various ‘Nature Connection‘ partners around greater Wellington. 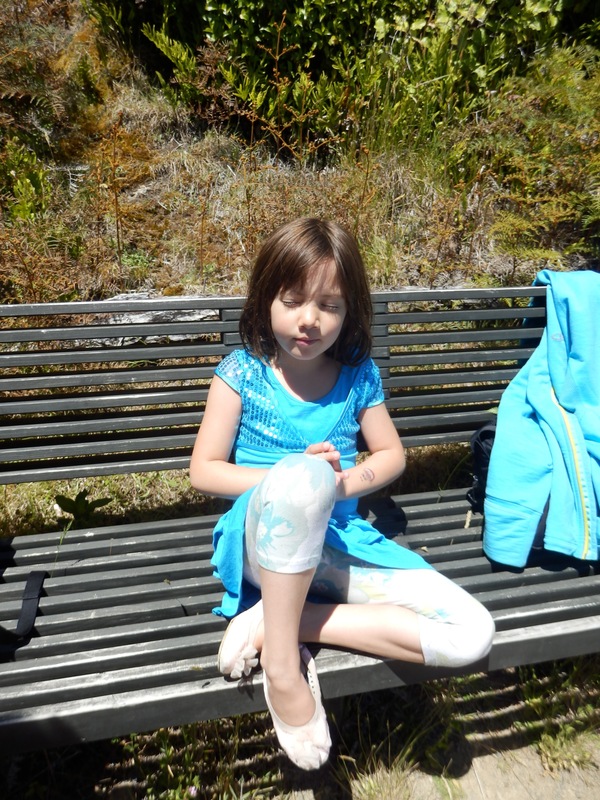 Alice our own little ‘Wellington Wild Thing’ finding ‘Slither’ at Mount Bruce. 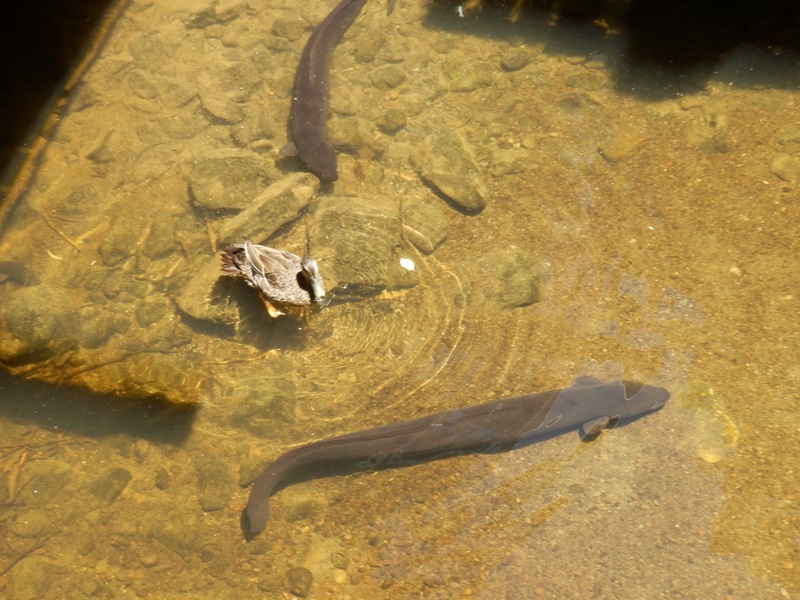 We didn’t get down to the eels in time to feed them, but we did take a moment to marvel at their size! Eels compared to a duck! 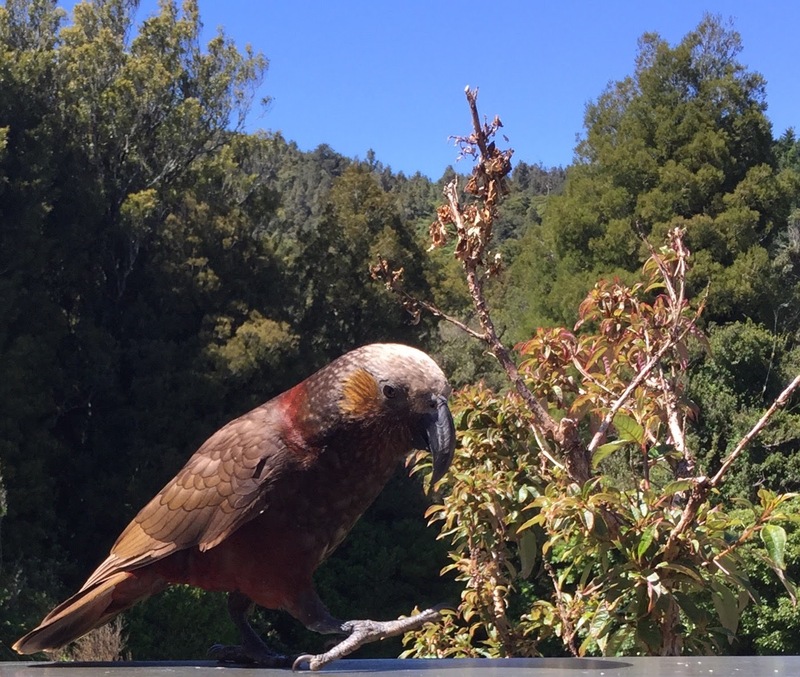 After that we went to see the Kiwi birds, including the famous ‘white kiwi’ that Alice has read a story about and was very keen to see (no photos available – as we didn’t want to disturb them, but always a treat to see a Kiwi and they have such an incredible call too). How fortunate we felt to see such a rare beauty, and to share the experience with my parents and youngest daughter made the whole day even more special. 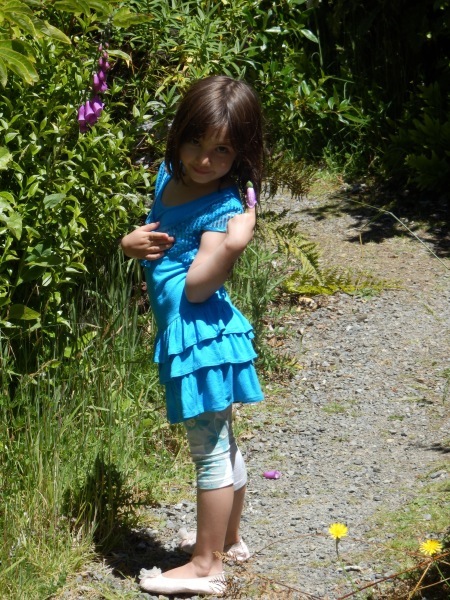 Alice, our little nature lover. 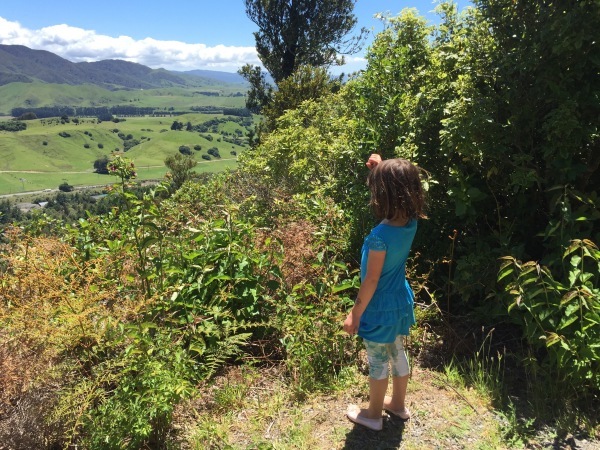 Country Kids, Header, Holidays, Walks Country Kids, Header, New Zealand, Pukaha Mount Bruce, Walks, Wellington Wild Things, wildlife. permalink.